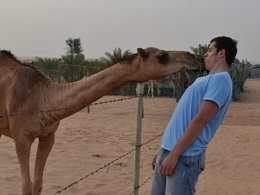 Yes, this is a camel scaring Evgeni Malkin. No, I don't have a joke. The biggest news in hockey this week was Mike Fisher getting attacked by a chipmunk. Well, OK, maybe it wasn't the biggest news. But it's a marginally interesting thing that happened, and since training camp hasn't opened yet we will damn well take what we can get. So this week it's animal jokes. Where was I? Right, Mike Fisher getting attacked by a chipmunk. As it turns out, the tiny creature invaded the home Fisher shares with wife Carrie Underwood, and while heroically trying to protect his family, the Predators center sustained two tiny bite marks on his hand. Gary Bettman - Was badly injured during a recent trip to the zoo after instinctively jumping into the wild canine exhibit in a desperate attempt to prevent the coyotes from moving. 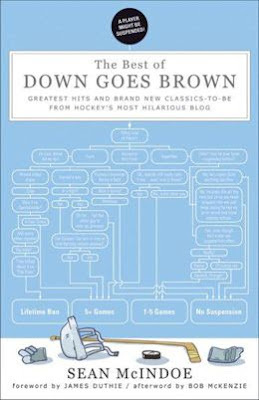 Dustin Brown - Has been tormented his entire career by an invisible wolf who chases him around the ice and repeatedly makes him fall down even though no other players touched him. Corey Crawford - Was distracted during recent extension negotiations by a giant seabird, I'm pretty sure, since when you type "Corey Crawford contract" into Google it immediately auto-fills "huge albatross". Claude Giroux - He recently required surgery on his hand after injuring it while repeatedly punching a unicorn, according to the new story he came up with after somebody told him he needed something more believable than "I hurt it playing golf". Paul Bissonnette - Was also once attacked by an angry chipmunk who would have bit him on the hands if he had any. Douglas Murray - Is really annoyed at this turtle that keeps wandering around on his property and is going to do something about it as soon as he can figure out how to catch up to it. Eugene Melnyk - Must be trying to stock the lake outside of his mansion with aquatic birds, since neighbors say he's constantly sitting on his street corner asking if anyone has any loonies. Buffalo Sabres - A flock of angry crows recently descended on the front office and plucked out the eyeballs of everyone who was in charge of approving the team's new jersey design, apparently. Nazem Kadri - Every time he asks his agent for a detailed update on how his contract talks are going, he gets distracted by the sound of all those crickets chirping. Tyler Seguin - Has been dutifully killing every spider he can find, ever since his agent sent him that email that said "Stay away from the web, you idiot". Clayton Stoner - Is currently compiling a list of all the animals mentioned in this post and the best way to hunt them down and kill them. Teemu Selanne - Was once lightly scratched by an adorable newborn kitten in the underground laboratory where he grinds them up to make his anti-aging potions. The person across from me thanks you for the coffee shower. The link for the chipmunk story is dead. It was attacked by a squirrel! One of your best articles in a long time! Glad to see you're already midseason form before Training Camp has started. Feel like you missed out on a Matthew Lombardi vs cheetah joke. "Has dutifully killing every spider he can find"
It's ok to take a week off if there is nothing going on. Wow. Is it me or is that camel smaller than Chara??? Turtles are actually pretty quick! It's tortoises that are slow. It says "anonymous" but we know it's you, Mike. Hey Geno, guess what day it is? That commercial is brain cancer. Hartnell must suffer from the same ghost wolf!!! Don't forget the mind controlling, Stanley Cup promising, wildly embarrassing earwigs that infected Tom Leiweke's brain a couple months ago. Apparently he got infected during the lockout from Terry Pegula!!! Seriously, Clayton Stoner? I'd have went David Booth, myself, he kills lots of stuff (I'm pro-hunting, btw, but I digress). Then again, I wear blue and green coloured glasses. Stoner's story was more recent (last week) compared to Booth's (last year). Sami Salo is so snake-bitten that he was once bitten by an actual snake and missed two games. No joke necessary.